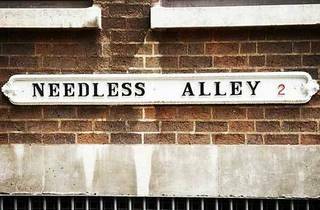 Birmingham and the West Midlands are known for having a rich industrial heritage, a vast canal network, and perhaps their crowning glory: an abundance of very peculiar street names. Google and Wikipedia have no idea who 'Billy Buns' was, so therefore neither do we. He does sound like someone who should have a comic strip in the Viz (perhaps with a gross comedy M.O. that rhymes with 'Buns'). Bet you looked twice at this one, didn't you? Just down the road from Billy Buns Lane you'll find Bumblehole Meadows (fnarr fnarr), which – appropriately enough – sounds like just the sort of place our hypothetical Billy Buns might live. Come to think of it, this would have made a fine addition to our list of the West Midlands' Sauciest Streets. Oh, the benefits of hindsight. Do make your mind up, Handsworth Wood. You’re sending out mixed messages. Property values on this street have risen sharply since the arrival of the internet. Coincidence? We think not. Just one letter away from being the perfect Christmas street. Or, two letters away from 'Dangly Balls'. We do not condone graffiti. This street name will send a shiver down the spine of anyone old enough to remember Cold War paranoia and Frankie Says T-shirts. Why not, street? Why not indeed? According to the Oxford English Dictionary, a wiseacre is a person with 'an affectation of wisdom or knowledge, regarded with scorn or irritation by others'. Wiseacre Croft, then, is a polite way of saying 'Smartarse Street'. Cheer up, mate, it’s not the end of the world (but this will apparently take you there). 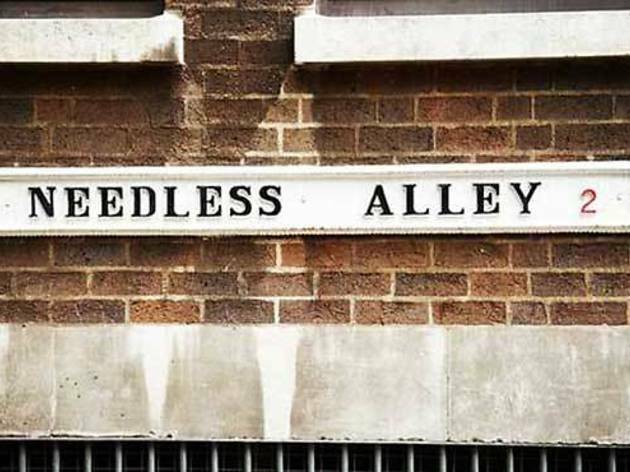 Have we missed any nearby weird, odd or downright peculiar street names? Let us know. Tom is a mostly funny writer and occasional stand-up comedian. His humorous hors d'oeuvres can be found in large helpings over at tomlennon.com. Follow him on Twitter @tomlennon.